Wax anticorrosion coating for hard-to-reach car body areas. High-performance rust preventive product designed to protect internal surfaces of car body hollow parts: door hollows, spars, fenders etc. Specially designed for anti-corrosive car body treatment based on the Swedish ML method (spreading, preserving, and "sealing up"). Can be applied to metal and lac¬quer coating surfaces. Spreads well and penetrates into the smallest cavities which require protection, such as weld seams and cracks. Forms a very thin protective film ( 40 micron) with strong adhesion. Seals up centers of corrosion attacks. Has high resistance to chemical activity (weak acids, alkali, etc.). Keeps up the form, does not trickle down from vertical surfaces. Stable to the temperature up to +160 °С. 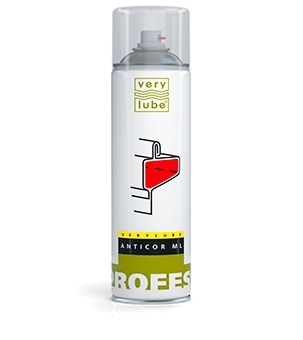 Economical in application (can 500 ml for 20 m2). 1. Clean open surfaces of the parts from dirt, rust, and dust. 3. Spray the content onto the surface at a distance of 20-30 cm. 4. Anticor ML should be applied in one layer. 5. Use an extension pipe to treat closed surfaces. The ambient air temperature while treating should be +15...20°C. Can be used in the engine compartment.